The Free Downloads is the ultimate multi-generational cover band. Raised on 80's dance/pop/rock, we plant our roots in that decade and spread ourselves out 20 years in both directions. You can expect to hear us play everything from Stevie Wonder to Michael Jackson to current top 40 songs. The 7 musicians that make up the group are some of the most talented and professional players in the area. We have a deep commitment to doing whatever it takes to meet and exceed expectations at your next event. We are also available in smaller ensembles or solo/duo for ceremonies and jazz cocktail hours. The Free Downloads were FANTASTIC! We hired them for our July wedding (ceremony and reception) and could not have asked for a better experience from beginning to end. They kept our guests dancing and managed to please a crowd of various ages. They are beyond talented. 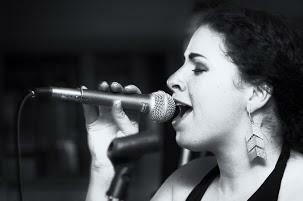 If you are looking for a great band and vocalists - look no further. We could not recommend The Free Downloads more! Thank you for making our day not only special, but FUN! The Free Downloads were amazing and so talented! We are still receiving comments from our wedding guests about how much fun they had at the reception in large part due to the Free Downloads. I've never seen a more lively dance party than occurred at our wedding! The best part of all was after the "last" song the entire crowd started a "one more song" chant and the Free Downloads took it in stride and finished the night with a favorite of ours leaving everyone on an amazing high when heading out the door! We could not thank them enough for their talent and professionalism. My husband and I cannot say enough about The Free Downloads.. they were truly exceptional. I always knew I wanted to have a band play for our wedding.. and what a band we had! From the very first communication, George made the process so easy for us. I would not hesistate to hire them again and have recommended them to our engaged friends in the hopes to hear them again. It's two months later and we have not stopped hearing great feedback from our guests about the level of talent for the entire band. From ages 3-93 our guests were dancing all night long.. My only regret is not starting our reception earlier to hear them play longer!! The Free Downloads were incredibly flexible and accomodating AND great to work with. We had special requests for our event that they were more than willing to accomodate. George was my contact and he was super about helping us out from beginning to end, AND a pleasure to work with. THe band was phenomenal too! Everyone loved them and they had the crowd up and dancing the whole time. Their music is super=like listening to whatever band or sound they are doing, rather than a weak imitation which is frequently the case! Loved them! The Free Downloads were AMAZING! They made our reception outstanding. People are still talking about how awesome they were! They are very talented and can perform a variety of songs with male or female leads. They're great at reading the crowd. 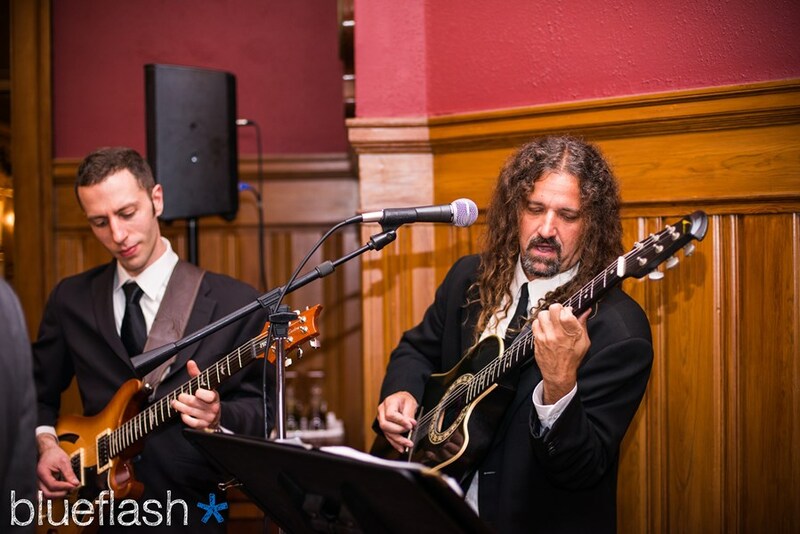 George was extremely responsive leading up to the wedding, and the band was open to our ideas/preferences. They learned a song for our first dance, and did a wonderful job with it. We had a long reception--people were dancing/having a blast the entire time. We had the same experience as another reviewer: at the end of the night, everyone was cheering "one more song" and they came back out to play another one. This band is AWESOME! My husband and I LOVED them, and our guests are still talking about how wonderful they are! George is very nice and extremely easy to work with. They are GREAT listeners and will accommodate anything!!! I would highly recommend this very talented, very FUN band with a GREAT repertoire!!! Definitely hire them for your wedding or event!!! They're GREAT! The Free Downloads absolutely exceeded any expectations we may have had. George was a pleasure to work with, and he made planning easy, and was always available to answer any questions we had. As far as the day of, from cocktail hour through the end of the reception, the band brought 110%, and all of our guests could not stop raving about them. Having both Sheree & Neil there to sing gave them so much versatility, and they both knocked it out of the park. I think it's safe to say that the highlight of the night was having our entire wedding reception chant "One more song!". I think that also sums up just how good this band is. Could not recommend them enough!!! The Free Downloads were amazing. From the start, George, the band leader, was in consistent contact. Their songlist seemed endless and is a beautiful balance of new and old, variety of styles, and slow and fast. We were very happy with the balance of male and female singers, and the different instruments they had within the band. They learned two songs for us and played them beautifully. Their first set they played a relatively calm set which allowed some of our older guests to enjoy a slow dance, but then ramped it up towards the end of the night to cater to the younger crowd there to dance. They were truly the hit of our wedding and we recommend them to all. 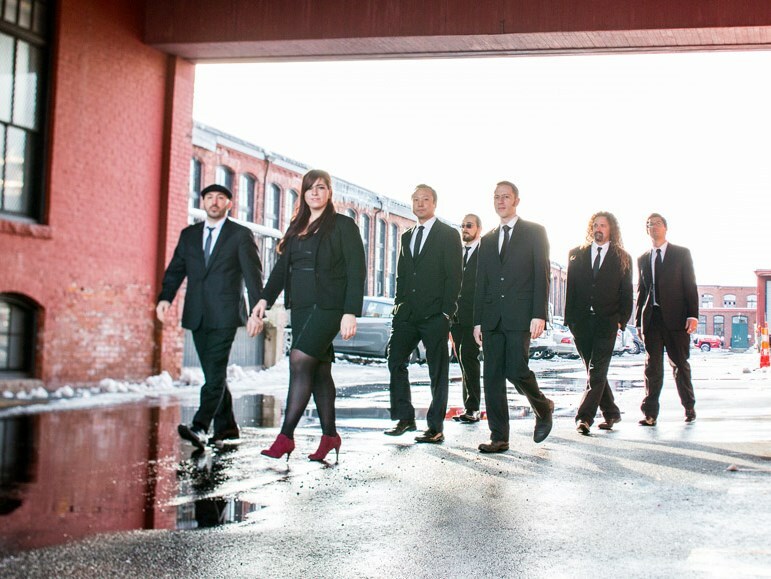 My husband and I hired this band for our wedding this past May down in Newport RI. We were satisfied when they let us hang in on their practice session and played a few tunes for us. They by far exceeded our expectations as we danced the entire night with our guests. This band from keyboard to guitar to male and female singer are incredibly talented. They got the crowd going and the dance floor was full the entire night. I was so sad when they played their last song but remembered that I would be hearing them again at my best friends wedding in September. They are amazing and made our wedding unforgettable. Can't wait to boogie! I never got a chance to see The Free Downloads play in person before the wedding but after listening to their audio/video clips, I knew enough to know that they would put on a great show. It didn't hurt that they are a 7 piece band and lead by a male AND female vocalist. (Sheree - you got pipes!) That said, their performance on our big day surpassed my already high expectations. They learned our special requests and my bride was very appreciative of the fact that they waited until she and I were on the dance floor to play her favorite song. All of our friends and family were very impressed and are still raving about the band's performance. They ROCKED!!! Please note The Free Downloads will also travel to Braintree, Cambridge, Newton, Readville, Brookline Village, Medford, Randolph, Milton, Quincy, Wallaston, Watertown, West Medford, Weymouth, Arlington Heights, Holbrook, Melrose, Nonantum, North Quincy, Waverley, Dorchester, East Weymouth, Hyde Park, Mattapan, North Weymouth, Oakdale, South Weymouth, Waltham, Babson Park, Avon, Canton.